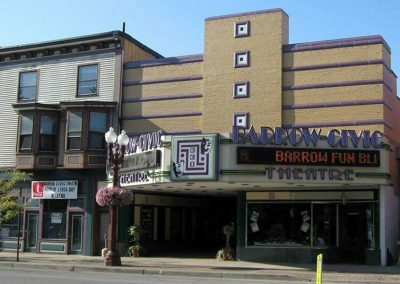 Barrow Civic Theater is a showpiece of an Art-Deco 1920’s Building in a small town in Venango County, Franklin, Pennsylvania. Famed architect, Gene Kresenski, lead of design for both Qualcomm Stadium and San Diego Zoo and Wild Animal Park in San Diego, CA , also worked internationally on many projects, finally returning to his small home town later in life to be with a parent. He became his Alma Mater’s construction liaison and is responsible for beginning a renaissance, his vision for the town. 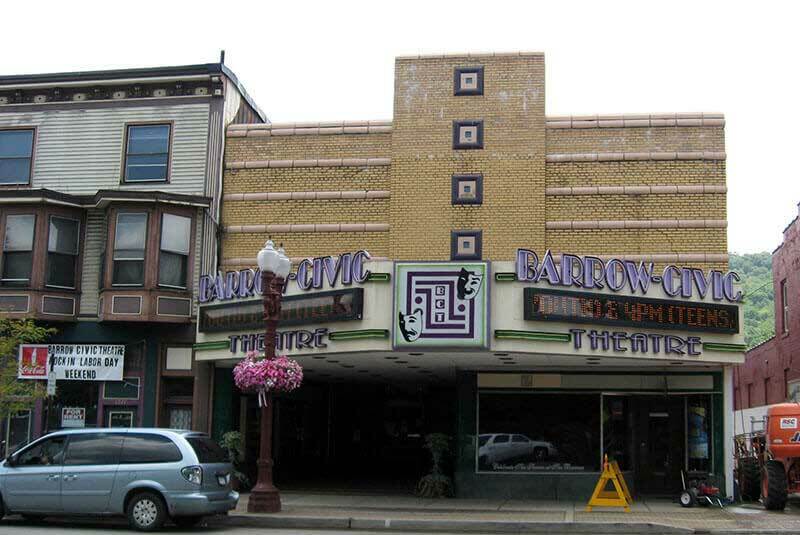 When the school board agreed that Central Elementary, also an Art-Deco building built in the 1920’s, was to be preserved, remodeled and restored as part of the school district’s restructuring and consolidation as they shifted students from other area elementary schools, Gene could not have been more pleased. When Central Elementary’s brick,mortar and Cast Stone was successfully restored with our cleaning and staining process, thus began Gene’s hometown renaissance just as he had hoped. 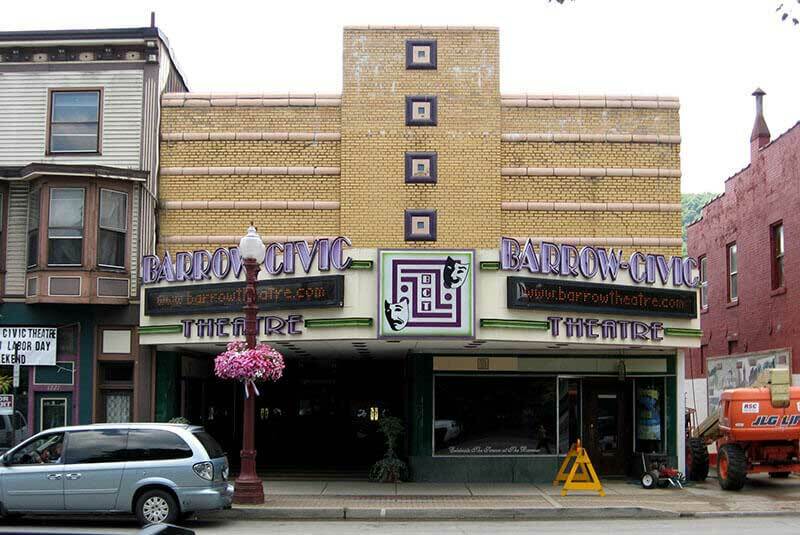 Inspired, homeowners and local business owners alike began sprucing up their properties and making repairs to keep up with the beautifully restored school. 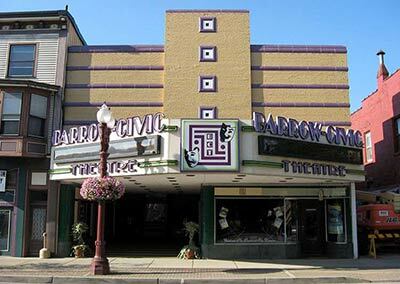 The private investors who stood behind Barrow Civic Theater, Gene among them, believed that our process had done such a good job of restoring the look of Central that they wanted the same restoration for Barrow Civic Theater. Matthew, our VP, worked with Gene very closely. He assisted with masonry repairs and patching and washed the brick down to ensure that the brick was prepared for our process of color restoration. 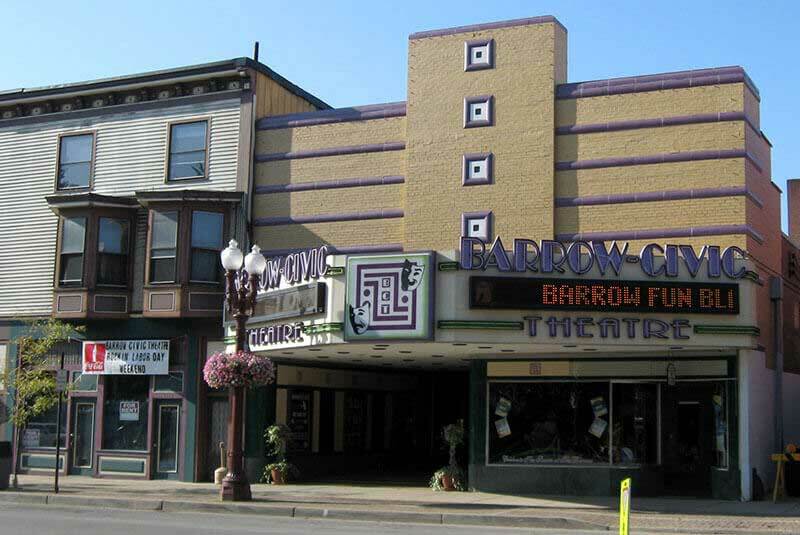 Matthew carefully performed all work on Barrow Civic Theater himself for Gene. 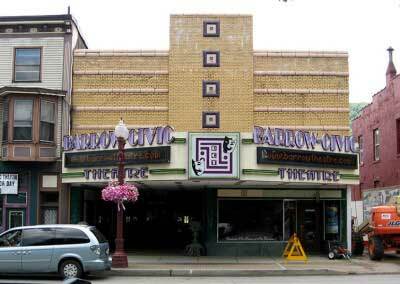 The original historic purple accent color and the historic brick color was restored as well. 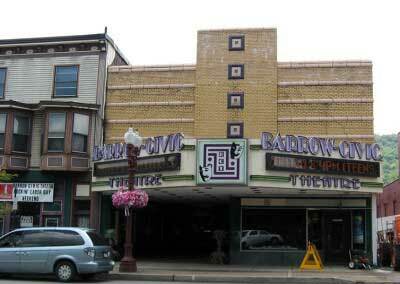 When the work was done, Gene and the Theater partners and the whole town could not have been more pleased. 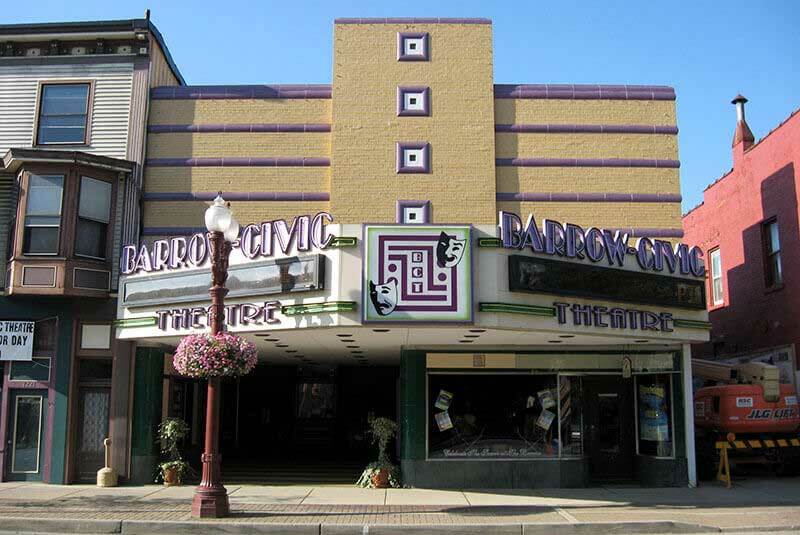 With two beautiful Art Deco buildings restored to their original glory and a movement begun, Gene’s contribution to his home town is immeasurable as was his contribution to San Diego,and it has been simply the greatest honor to partner with Gene on both Central Elementary and Barrow Civic Theater.